Venture from Ushuaia across the wildlife-rich waters of the Drake Passage to the spectacular Antarctic Peninsula. Cruise through the famous Lemaire Channel, visit colonies of Adelie, chinstrap and Magellanic penguins, and learn about the research being conducted in this southern continent at working scientific stations. The expedition includes zodiac excursions to get up close to wildlife and is accompanied by a fascinating series of lectures about the natural and human history of Antarctica. Your expedition begins in the southernmost town in the world, Ushuaia, with a night at the beautiful Arakur Hotel & Resort. Take the time to explore its walking trails and indulge in a spa treatment or head into Ushuaia to browse its Argentinean leather markets and award-winning museum. Ushuaia is also on the doorstep of Tierra del Fuego National Park which can be accessed along the famous “Train at the End of the World”. In the evening there will be an optional briefing where you can meet some of your Expedition Team and fellow travelers. Spend the morning exploring Ushuaia before being transferred to the ship in the mid-afternoon. On board you will meet your Expedition Team and the ship’s Officers, then relax on deck as we sail through the Beagle Channel, passing colonies of Magellanic penguins, rock cormorants and sea lions. The next couple of days will be sent sailing across the Drake Passage, keeping an eye out for albatross, prions and petrels which may follow the ship, together with whales and dolphins. A series of informative lectures will be presented by your polar experts on the wildlife, history and geology of the Antarctic Peninsula. After crossing the Antarctic Convergence, you’ll notice a distinct drop in temperature, with the opportunity to help collect weather data and salinity samples along the way. 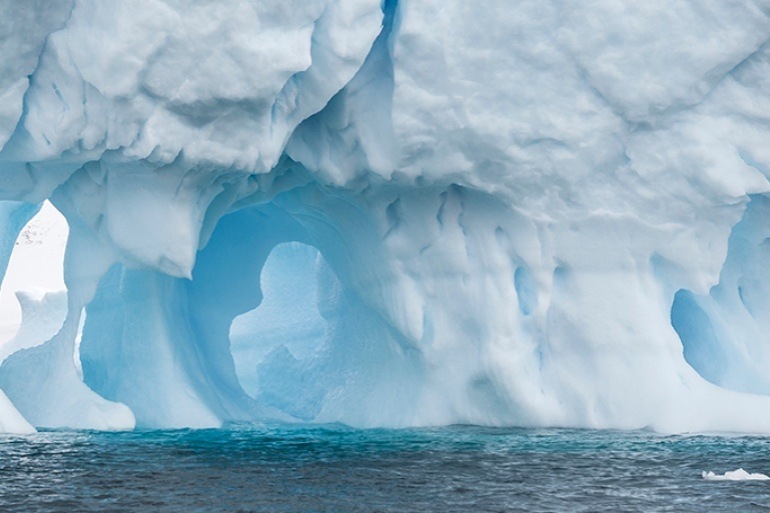 Immerse yourself in the spectacular landscapes of Antarctica over the next five days, exploring the scenic bays and channels of the Peninsula. Our first land sighting is likely to be South Shetland Islands. This volcanic expanse offers an amazing sensory overload of abundance and beauty. We may visit Half Moon Island in Livingston’s eastern shore, or conditions permitting visit historic Deception Island. We are still quite for notrh so this gives us a chance to see sub-Antarctic species that are more commonly found here, including Chinstrap penguins and Southern Elephant seals. The 11 Day Tour only spends 1 day here. Today we take a southerly direction and head across the Bransfield Strait on route to Trinity Coast and Gerlache Strait. Destinations may include picturesque Neko Harbor, Paradise Harbor, Wilhelmina Bay and the striking Lemaire Channel, together with the magnificent Neumayer Channel and the wildlife-filled waters of the Penola Channel. We’ll launch the zodiacs to visit penguin rookeries, seal wallows and bird colonies, as well as working scientific bases such as Poland’s Arctowksi or the U.K.’s Port Lockroy. The itinerary will be largely determined by weather, ice and wildlife opportunities, with the chance to see Adelie, Chinstrap and Gentoo penguins together as well as Weddell, Crabeater and Elephant seals. We’ll depart the Antarctic Peninsula on our return trip across the Drake Passage, continuing our presentation series and wildlife spotting. Then cruise back through the Beagle Channel as we celebrate this incredible expedition, reliving the highlights during a slideshow presentation. Disembark and make your way to the airport or continue your journey through Argentina. *Please see the deck plans for additional information regarding cabin options.